Kekst CNC represents Avista Capital Partners as the private equity firm acquires the dermatology and topicals business of G&W Laboratories. The addition of G&W Dermatology to ACP’s investment portfolio is part of its strategy to “identify attractive niche healthcare assets and then acquire such businesses via a carve-out transaction,” according to Sriram Venkataraman, Avista partner. Avista has named Walt Kaczmarek, a 25-year veteran of the pharmaceuticals sector, CEO of G&W Dermatology. Carl Greenblatt, a pharmacist who served with the US Army during WWI, founded G&W Laboratories in 1919 His son, Burton, also a pharmacist, joined the company after he returned from service during WWII. A fourth-generation Greenblatt, Aaron, currently helms the company. Kekst CNC’s Daniel Yunger, Sherri Toub and Daniel Hoadley represent Avista, which has more than $6B invested in 30 health-oriented businesses. 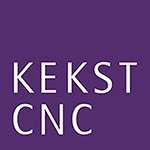 Publicis Groupe owns Kekst CNC.